Maryland regulators last week instituted one of the most aggressive energy efficiency targets in the country, a requirement that electric utilties save two percent of retail sales per year in perpetuity. Issued July 16 by the Public Service Commission, the ruling extends Maryland’s EmPOWER Maryland program, which had set energy efficiency targets through 2015. In terms of future targets, Maryland’s new goals are among the top five in the country. Only two other states — Rhode Island and Massachusetts — achieved savings greater than two percent last year, according to the organization. In contrast, Maryland’s gross savings equaled 1.3 percent of retail sales in 2013. The rules are expected to reduce energy use by 1.2 million MWh/year — the closing a 460 MW coal-fired plant every two years, according to the Chesapeake Climate Action Network. As part of the same decision, the Public Service Commission also ordered that natural gas companies set consumption reduction goals, a first in the state. Energy efficiency light bulbs, the sequel? Now dishwasher appliance standards, proposed by the Department of Energy, are coming under attack. A news release by the Association of Home Appliance Manufacturers said that the energy and water efficiency proposal will make dishwashers so unacceptable to consumers it will turn back the clock to the days of hand-washing dishes. Scheduled to become effective January 2019, the standards would require dishwashers to cut energy use by 24 percent and water use by 38 percent, AHAM says, leaving just 3.1 gallons of water to clean a load of dishes in a normal wash cycle. “Standards work best when they are developed through consensus. Unlike the three prior dishwasher standards, the latest proposed energy and water levels were published before manufacturers were consulted. Our testing shows that the impact on dishwasher performance would be disastrous,” noted Joseph M. McGuire, president of AHAM. Meanwhile, the Energy Information Administration (EIA) had some good things to say about appliance standards this week and the use of a consensus approach to establish them. EIA’s Today in Energy reported that standards proposed last month for commercial heating and cooling could save about 15 quadrillion Btu over 30 years. The standards were created with the help of an advisory group that includes industry stakeholders and energy efficiency and environmental advocates, along with the Department of Energy (DOE). The working group represents an alternate approach to energy efficiency standards development within DOE. The new standards build upon similar rules for commercial natural gas- and oil-fired warm-air furnaces and package air-conditioning and heat pumps agreed upon through the advisory process. Similar consensus agreement approaches were used to develop standards for several residential appliances such as furnaces, heat pumps, air conditioners, clothes washers, clothes dryers, dishwashers, refrigerators, and freezers, acccording to EIA. In some cases, these agreements meant earlier adoption of standards compared with the traditional DOE rulemaking process. 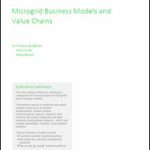 New York regulators say they want to animate the distributed energy market through their new Reforming the Energy Vision (REV), and they seem to be doing so. Simple Energy, a software-as-a-service company, and energy giant Iberdrola say they have struck a deal to use behavioral science, big data analytics, and digital marketing to encourage households to buy distributed energy products. Ibedrola plans to use Simple Energy’s Marketplace e-commerce platform at Iberdrola utility Rochester Gas & Electric. The program connects consumers to targeted energy-saving products and services that offer instant rebates. And here is another example market animation occurring in New York. Take a look at the response to the NY Prize. 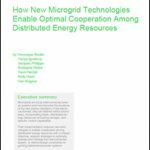 The state received 130 community microgrid applications in the competition and as a result, ended up funding 83 microgrids instead of its planned 25. Track the latest energy efficiency markets news by subscribing to our free newsletter.